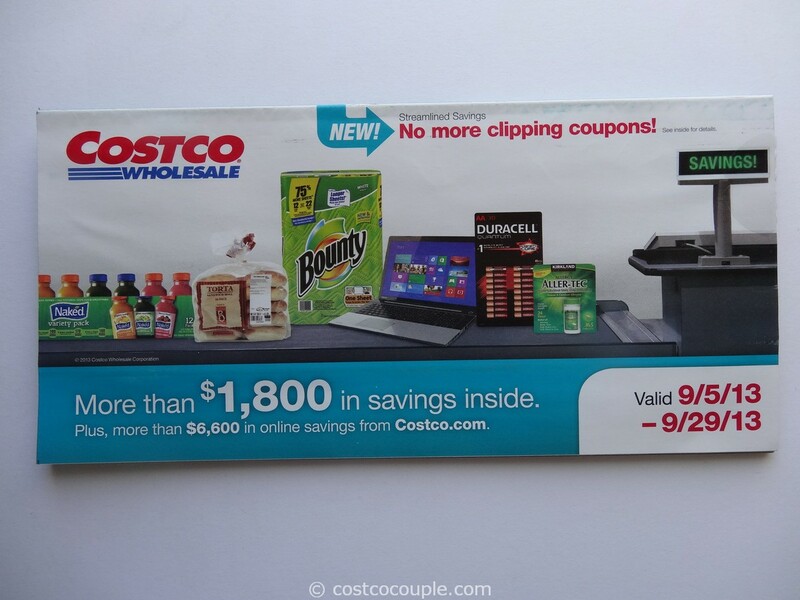 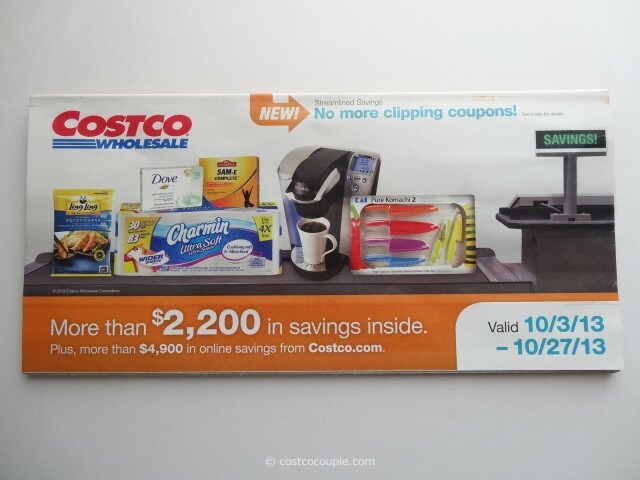 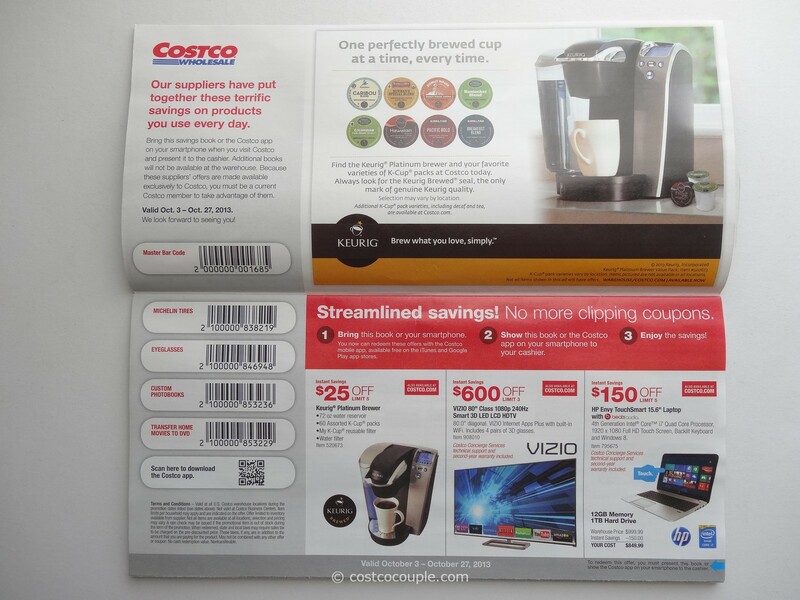 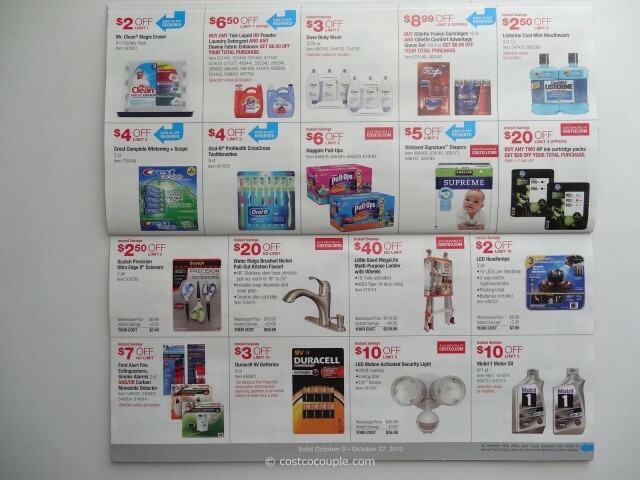 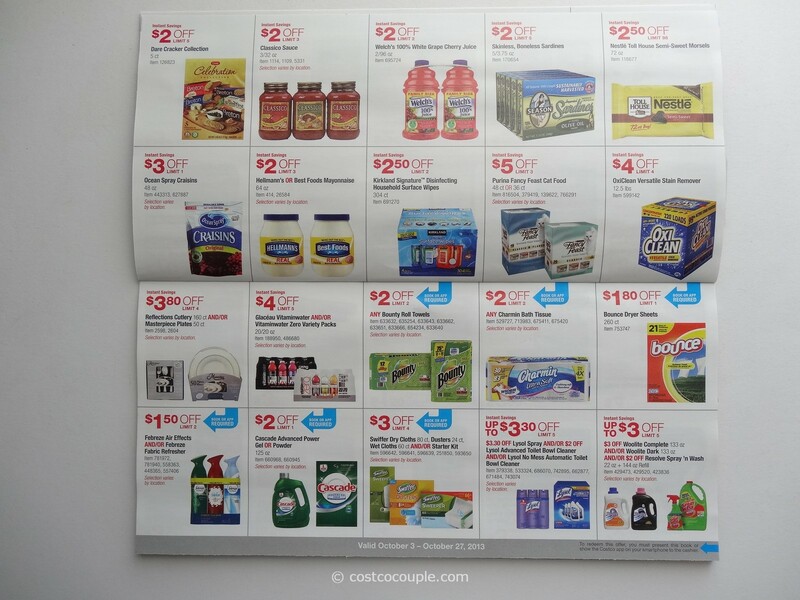 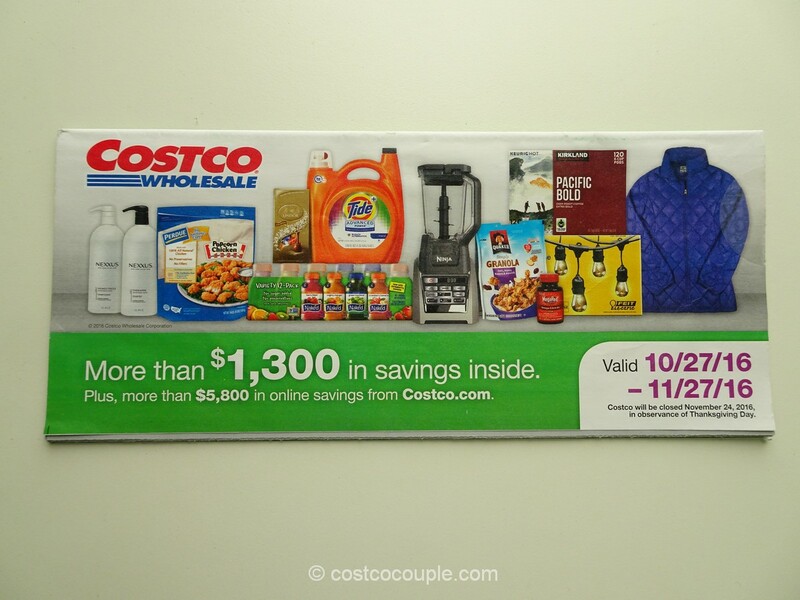 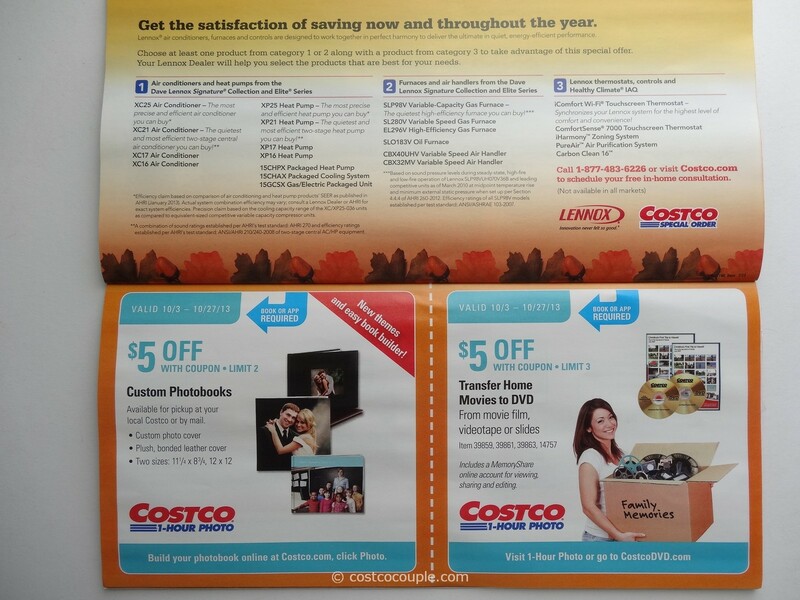 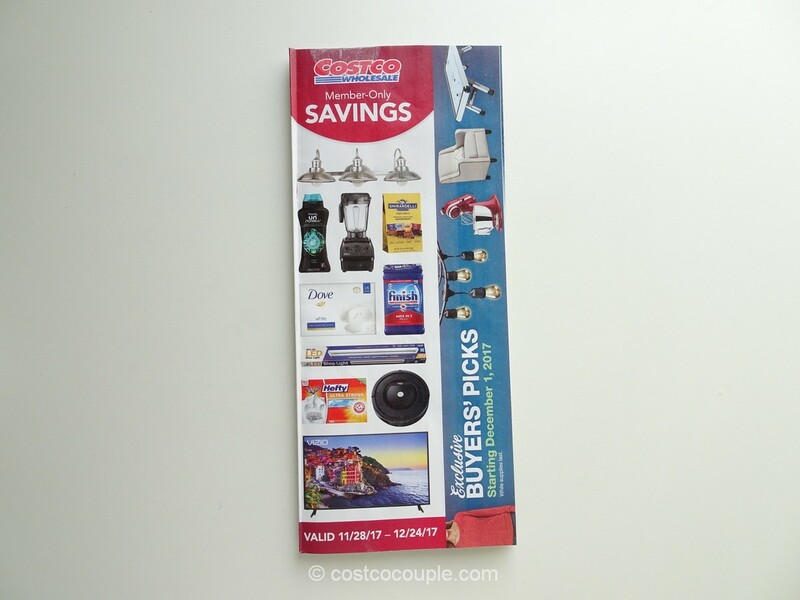 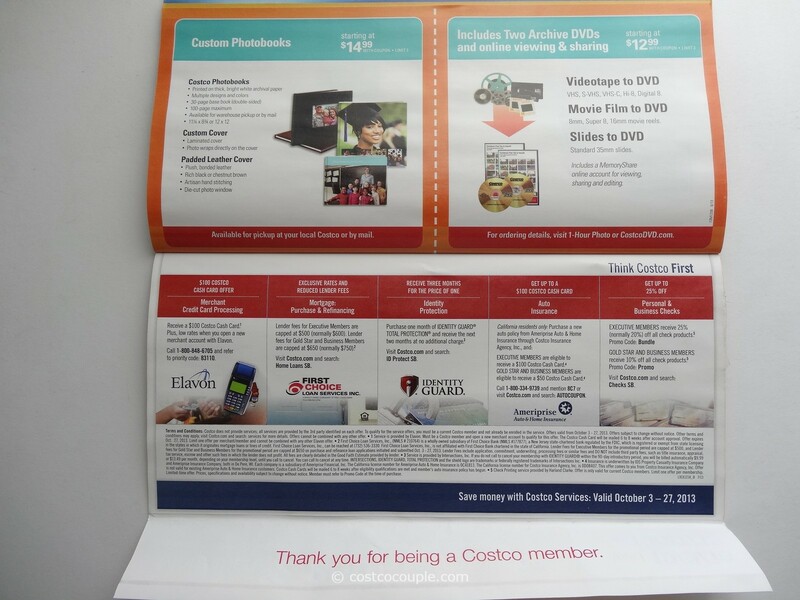 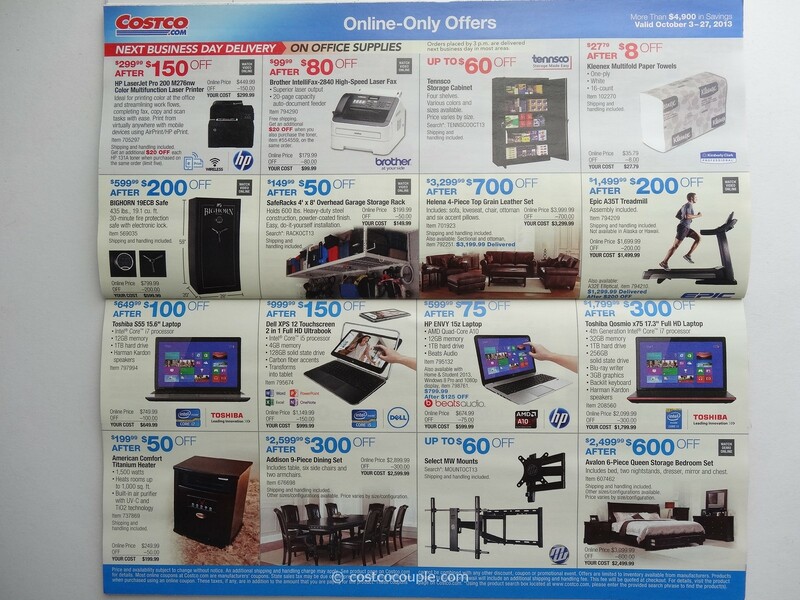 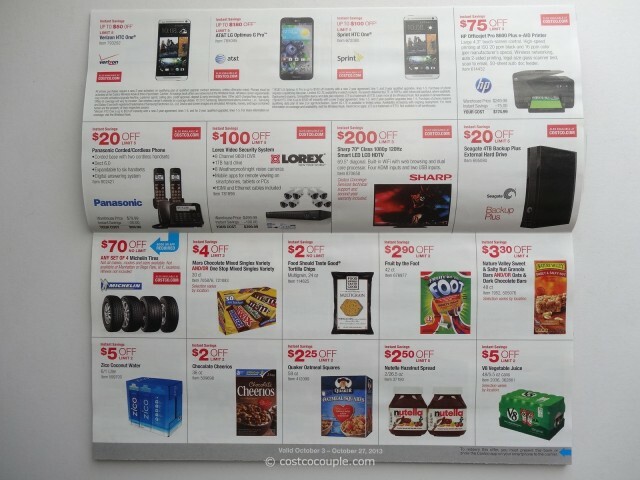 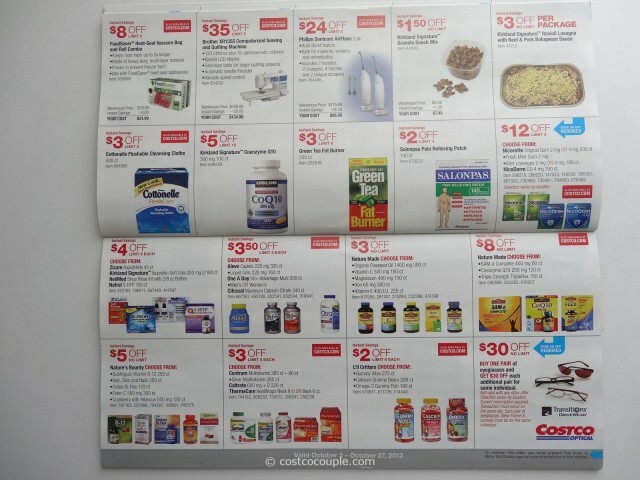 The October 2013 Costco Coupon Book is here! 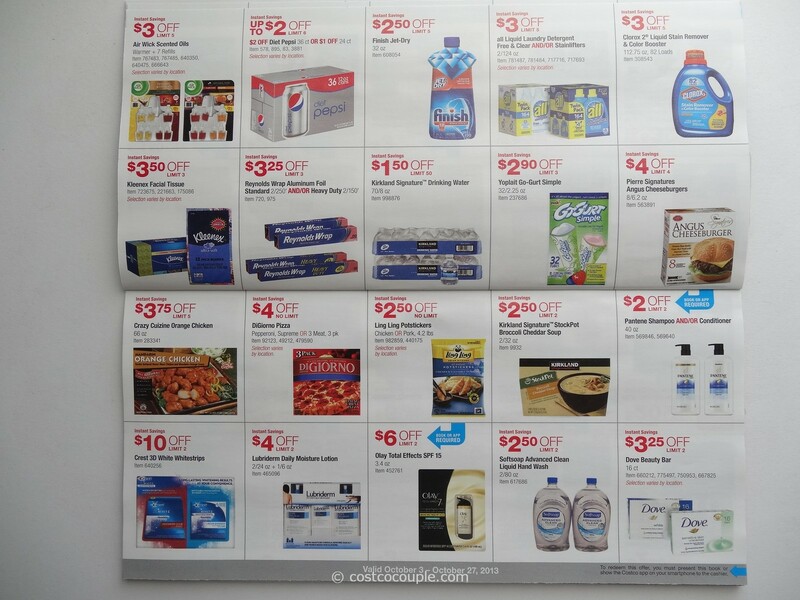 In addition to coupons for the usual “suspects” like Bounty, Charmin, Bounce, Cascade, Swiffer, Lysol, Finish, etc. there are also coupons for new items recently seen at the store e.g. 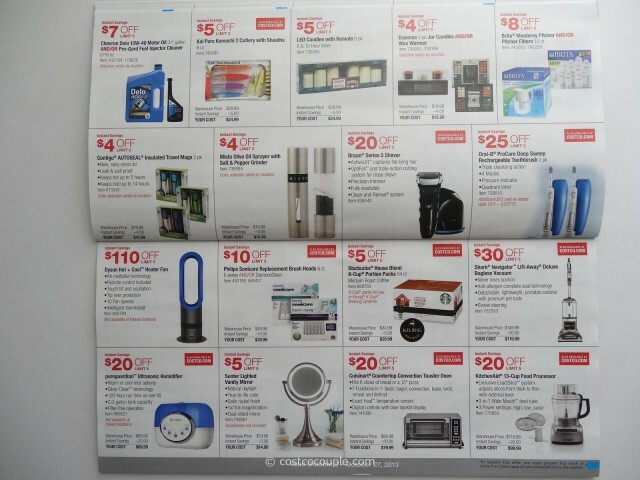 Komachi Knives, LED Candles with Remote, Essenza Jar Candles and Wax Warmer, Contigo Travel Mugs, Misto Olive Oil Sprayer, Sunter Lighted Vanity Mirror, Brother XR1355 Sewing Machine, First Alert Smoke Alarms and Carbon Monoxide Detectors, etc. There are coupons for new items like Zico Coconut Water and Dyson Hot and Cool Heater Fan which we haven’t seen in the store yet. More interesting coupons than September so take a look! 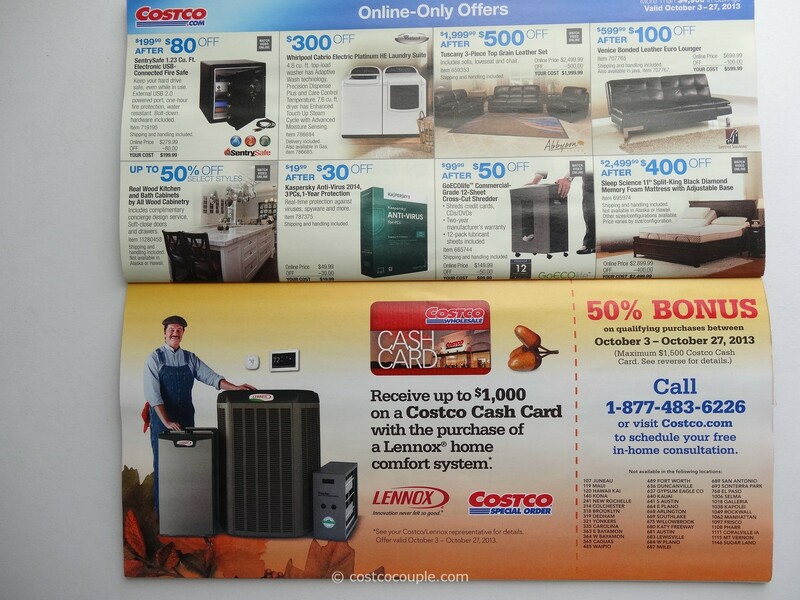 October’s coupons are valid from Thursday 10/03/13 to Sunday 10/27/13.